Spotlight on Famous Female Ohioans - Ohio. Find It Here. What better way to celebrate Women’s History Month and today – March 8th – International Women’s Day, than to highlight extraordinary Ohio women whose wide-ranging achievements not only made history but also made them famous? From stars of the Wild West to astronauts and best-selling authors, discover the stories of incredible women that call Ohio home. In addition to being the state that claims that most U.S. Presidents (eight in total) Ohio also has bragging rights to the nation’s first “First Lady.” After Chillicothe native Lucy Webb Hayes was called “the first lady of the land” in a newspaper article about Rutherford Hayes’s 1877 inauguration, the “First Lady” title was attached to her and subsequent presidents’ wives. 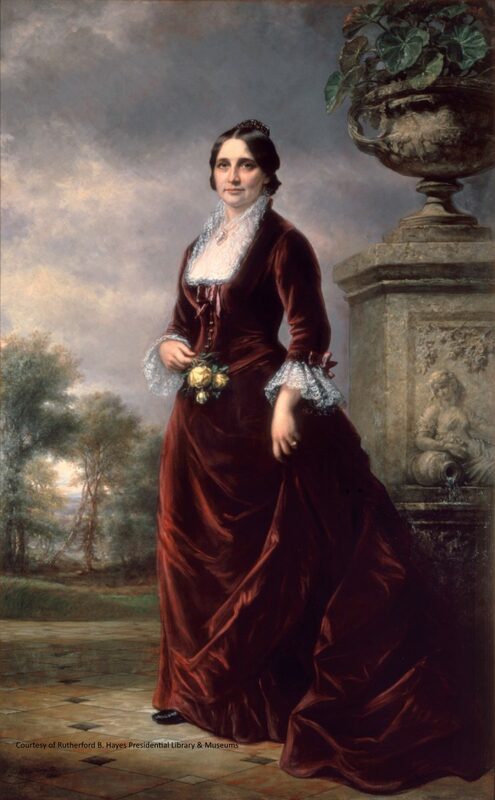 Mrs. Hayes was also the first First Lady with a college degree, and post-White House, she and her husband lived in a Victorian mansion in Fremont, now a part of the Rutherford B. Hayes Presidential Library & Museums. 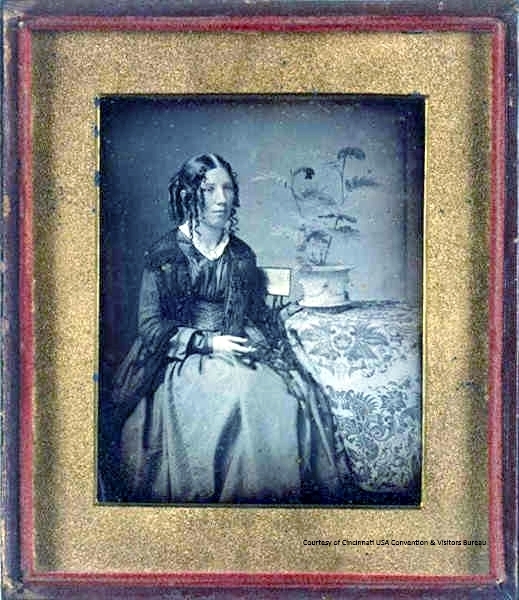 When President Lincoln met Harriet Beecher Stowe in 1862, he reportedly remarked, “So you are the little woman who wrote the book that started this great war.” That book, of course, was Uncle Tom’s Cabin – the anti-slavery novel that crystallized the Civil War’s underlying issue and made Stowe a best-selling author. Many of the landmark book’s most compelling episodes came from Underground Railroad stories she heard during the 1830s while living in Cincinnati at what is now called the Harriet Beecher Stowe House. 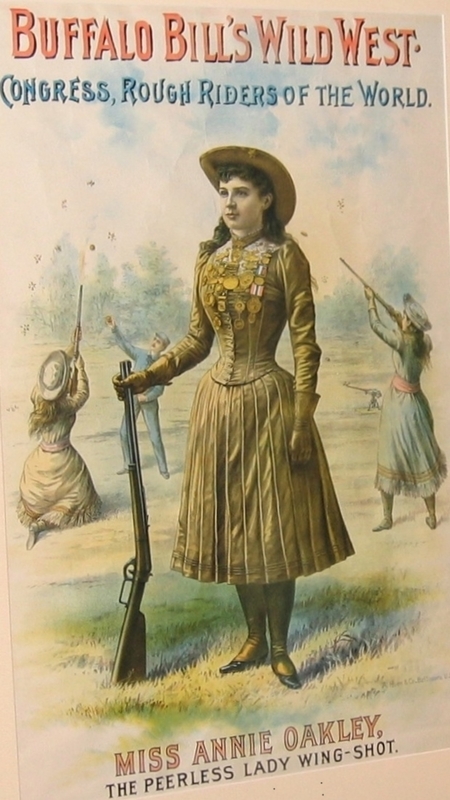 Born and raised near Greenville, Annie Oakley shot game during her childhood to help feed her family – but by the late 1800s, Oakley’s sharpshooting skills made her both a featured performer in Buffalo Bill’s world-renowned Wild West show and the nation’s first female star. Although Queen Victoria pronounced Annie a “very clever little girl,” it was Sitting Bull who gave her the lasting nickname, “Little Miss Sure Shot.” Today, Greenville’s Garst Museum is home to the National Annie Oakley Center and an incomparable collection of memorabilia. Cleveland native, Dorothy Dandridge, dazzled the world with her skills in film, singing and dancing. As a darling of the Hollywood industry, she was one of the most famous African-American actresses of her time and the first to be nominated for an Academy Award for Best Actress. After starting her career alongside her sisters as The Wonder Children, she went on to perform with stars like Louis Armstrong and Count Basie. Most notably perhaps was Dandridge’s defiance of type-casting, as she refused stereotypical roles based on her race. Her revolutionary starring roles earned her the first black woman feature on the cover of Life Magazine and several other accolades. 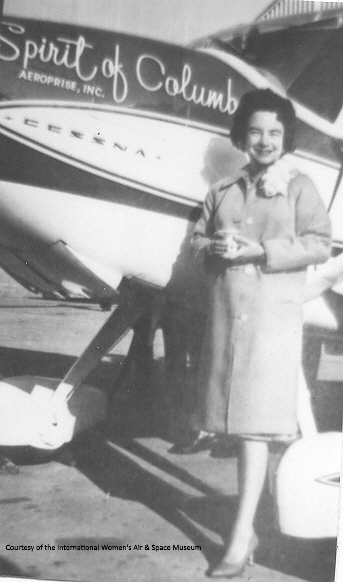 Internationally famous was Newark native Jerrie Mock, the first woman to fly solo around the world. Beginning and ending her ground-breaking 1964 flight in Columbus, Mock piloted a single-engine Cessna 180 named the “Spirit of Columbus” and logged 22,860 miles in 29 days. During that global journey, she became the first woman pilot to solo over the Atlantic and Pacific oceans, and when Mock winged her way from Honolulu to Columbus in 1966, she set the record for the longest nonstop flight by a woman. 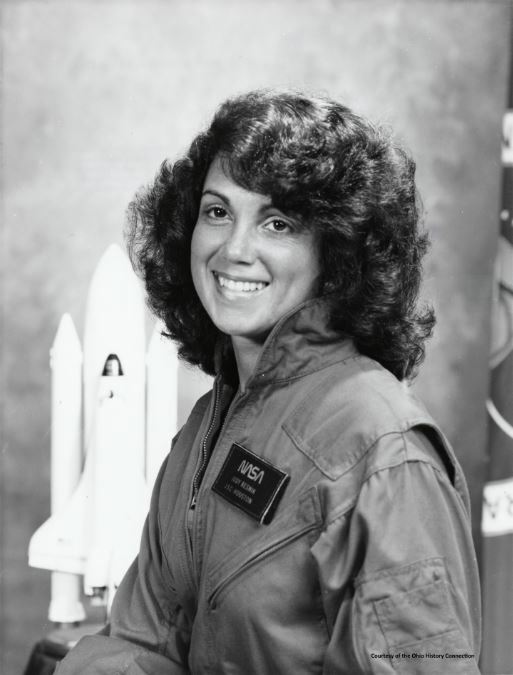 Before NASA picked her for its first group of female astronauts in 1978, Akron’s Judith Resnik had earned a doctorate in electrical engineering and worked as a biomedical engineer. As a mission specialist on Space Shuttle Discovery’s 1984 maiden voyage, Resnik was the first American Jewish woman to make a space flight. On January 28, 1986, she and all other crew members aboard the Space Shuttle Challenger perished when it broke apart after liftoff at the Kennedy Space Center. Resnik was posthumously awarded the Congressional Space Medal of Honor, and a lunar crater is named for her. 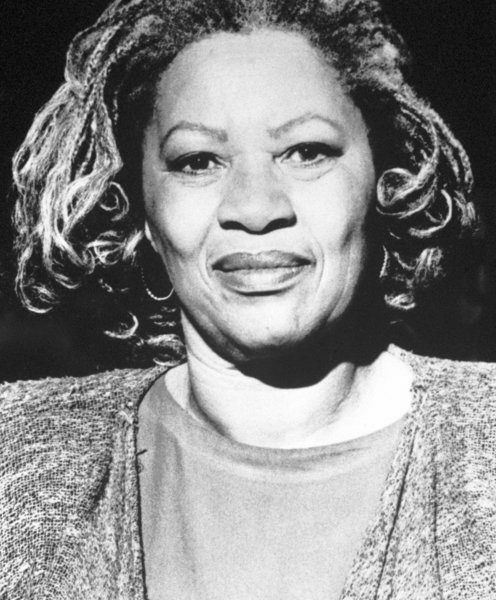 Born in Lorain, Ohio, Toni Morrison is a renowned American novelist most known for her award-winning tale, Beloved. The book was later brought to the big screen by Oprah Winfrey and Danny Glover in the movie adaptation. This true story of an enslaved black woman won Morrison the Pulitzer prize and the American Book Award in 1988. She also later won the Nobel Prize in Literature and was presented with the Presidential Medal of Freedom by President Barack Obama. Morrison now serves as professor emeritus at Princeton University. 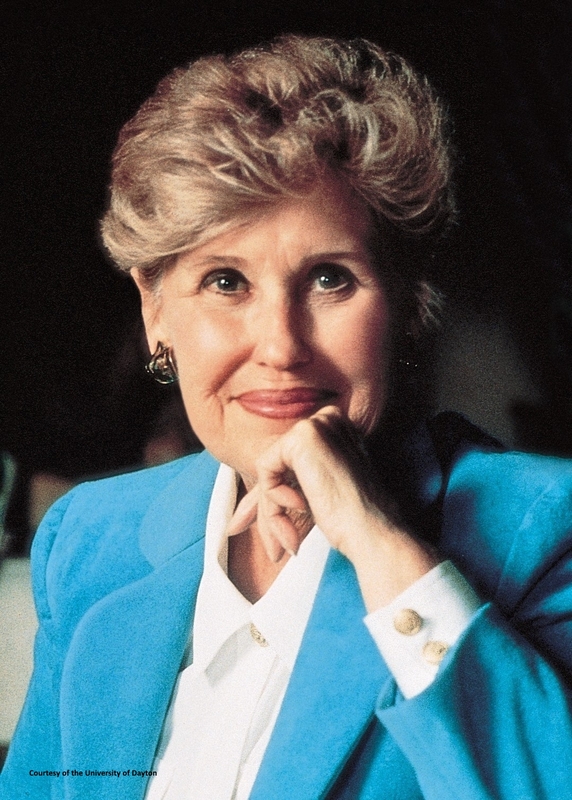 Erma Bombeck began writing humor as a schoolgirl in her hometown of Dayton, and by the 1980s, she was America’s favorite funny lady, poking fun at marriage and motherhood with witty one-liners – “Never have more children than you have car windows” – in her syndicated newspaper column and best-selling books. The University of Dayton, her alma mater, now hosts the Erma Bombeck Writer’s Workshop, and this year for Women’s History Month, they’re honoring her and other trailblazing UD women with a special exhibit. 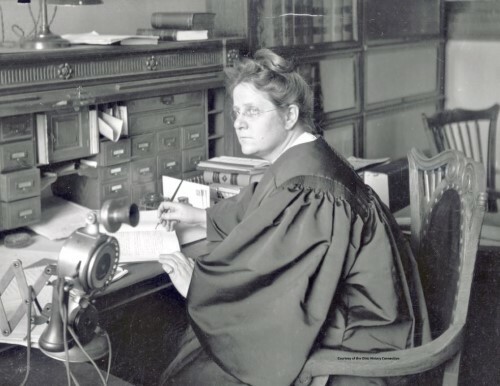 Seated at a grand desk in black judicial robes, Cleveland’s Florence Ellinwood Allen looks every inch the eminent jurist – and she most certainly should. When voters chose her for the Cuyahoga County Common Pleas Court in 1920, Allen became the first woman in U.S. history elected to a judicial office. Two years later, Allen made history again, winning a seat on the Supreme Court of Ohio – the first woman elected to any state’s highest court. Thanks to President Franklin Roosevelt’s 1934 nomination, Allen also attained the distinction of being the first female judge appointed to a U.S. Court of Appeals (the Sixth Circuit in Cincinnati). in 2011, Columbus-native, Yvette Mcgee Brown, became the first African-American woman elected as Justice to the Ohio Supreme Court. Her career led her to hands-on community involvement, where she was the founding president of Center for Child and Family Advocacy at Nationwide Children’s Hospital. This organization is dedicated to the treatment and prevention of child abuse and domestic violence. Brown has been inducted into the Ohio Women’s Hall of Fame and the Ohio Business Hall of Fame, along with many other public-service awards. For more inspiring stories, Find It Here. at Ohio.org.